We appreciate there are many options for buying and selling real estate in the Okanagan. This is most likely your largest investment and you should expect a high level of service from your real estate professional. The team at QVA has raised the bar in service and are committed to our Mission Statement, Core Values, and the QVA Guarantee. 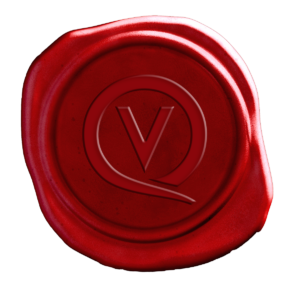 There is a difference…the QVA Difference…because you deserve more! Providing an unparalleled approach to buying and selling Family homes, Premium Properties and Luxury Estates in Canada. Our promise is to exceed the expectations of all clients and colleagues by always providing absolute exceptional service for every transaction. Informed Showings –We prepare for each showing by first qualifying the buyer looking at your home. We provide to the buyer’s agent, detailed information not available on the MLS. We highlight specific features of the home and surrounding area, and most importantly, sell the lifestyle. We follow up with questions and manage and overcome any objections. Your Professional-We are more than just real estate agents, we are sales professionals. It takes years of industry experience, dedication, professionalism, and training to become a QVA agent. QVA Agents are motivated and proactive. When buying and selling reals estate, our team of highly trained and licensed sales agents focused on helping you. The QVA team provides you with the knowledge and support to successfully buy and sell Kelowna Real Estate. Premium Marketing– Every QVA listing is photographed in high definition by our professional photographer for crisp, bright, and gorgeous images. These images capture the features of the home and the lifestyle that goes along with it. These beautiful photos will help to attract the buyer to want to come and view your home in person. Virtual Reality-Cutting edge technology means more than just great pictures. Buying and selling real estate by virtual walk-throughs is becoming more and more popular in this busy world we live in. The VR tour will allows buyers to be inside your home while miles away. VR goggles are compatible with any mobile device and you are inside any QVA listing within minutes. Direct line- QVA Agents aren’t afraid to pick up the phone and answer inquiries directly. When potential buyers call about your home, a knowledgeable agent is there to answer. You are not re-routed through reception or multiple team members. Questions are answered promptly and leads are acted on immediately for buying and selling real estate. Strong Web presence-The Quincy Vrecko & Associates website has a very strong internet presence with exceptional local and international exposure. Their optimized property pages and online ads bring over 1000 potential buyers to the site every day. Great marketing means selling your home at the right price in less time. And for anyone buying and selling, our site offers an abundance of information about Kelowna and the real estate market. Post-move clean is on us!-Put the gloves and Windex away – we’ll take care of it. QVA Agents send professional cleaners to your home after you move out! Giving you, one less thing to worry about. So when buying and selling real estate in Kelowna, think QVA! #1 We guarantee to always put YOUR needs above our own. #2 We guarantee that we will do everything in our professional power to bring sellers and buyers to an acceptable purchase agreement. #3 We guarantee to treat your buying or selling experience like our own. #4 We guarantee to provide you with the necessary information & feedback leading to a satisfying selling or buying decision. #5 We guarantee to provide you with QVA Service, Experience & Expertise throughout your Real Estate transaction. #6 We guarantee to use our leadership skills to MINIMIZE complications that may arise during the selling or buying process. #7 We guarantee every QVA Representative will answer all your questions patiently and promptly. #8 We guarantee that every Referral you send us will be acted upon with utmost professionalism. #9 We guarantee that your QVA Real Estate experience will continue beyond successful closing. #10 YOU may be assured that we will stand by our guarantees…that’s a QVA Promise!